Feels like I am describing a treasure hunt! Two of the conference venues will host opportunities to hear the latest research and thinking from across the world - come and be part of the conversations that will be created about different people’s practice and experiences. One venue will be a space for sharing performed stories and another for workshops. There will also be art exhibitions, posters, stories with music, therapy stories, an international panel, a children’s venue on the Saturday and, if you have never told a story before, there will be an opportunity to have a go! 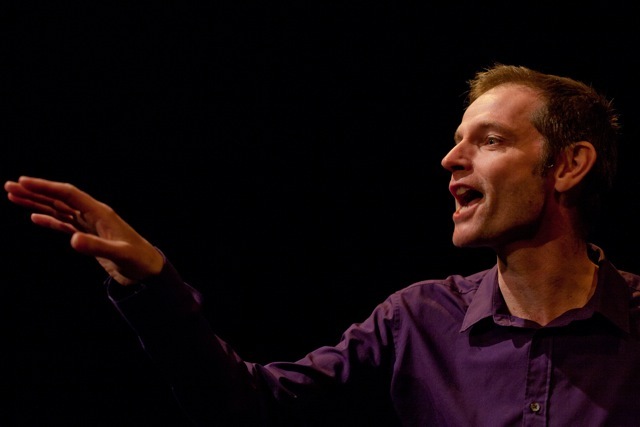 Daniel Morden is one of the UKs leading storytellers, he has been enchanting audiences with his tales since 1989. He has performed at events across the globe, has won numerous awards including the Audience Choice Award for Outstanding Storyteller- Words Festival, Helsingbor, Denmark and the UK Classical Association Award for ‘the most significant contribution to the public understanding of the classics’, and has published 12 collections of stories. Daniel’s recent work has focussed on the performance of stories when going through a major health event. Dan Yashinsky is a Toronto-based storyteller, writer, and community animator. In l978 he founded 1001 Friday Nights of Storytelling, North America's longest-running adult storytelling series. In l979 he founded the Toronto Storytelling Festival. His books include Swimming with Chaucer - A Storyteller's Logbook, and Suddenly They Heard Footsteps - Storytelling for the Twenty-first Century. In l999 he received the first Jane Jacobs Prize for his work with storytelling in the community. He is currently the storyteller-in-residence at Baycrest Centre for Geriatric Care, working with patients, staff, and family members. Prof Mike Wilson is Professor of Drama at Loughborough University. 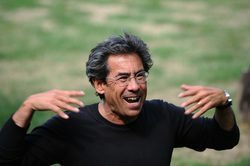 He is a leading authority on storytelling and performance and has written seven major books on the subject. Mike’s research on storytelling has led him to work on the interface between storytelling and digital technology and the way in which the internet has enabled the telling and sharing of ‘extraordinary’ stories of the everyday experiences of people. He is a Co-Investigator on the major RCUK projects: ‘Creative Practice as Mutual Recovery’, a collaboration led by the Institute of Mental Health at the University of Nottingham, exploring the value of creative interventions as a tool for mutual recovery in the field of Mental Health. ﻿Dr Jac Saorsa﻿ is a visual artist, writer and researcher. She is based at her studio in Broadway, Cardiff. Jac works primarily within the field of medicine with a special interest in the qualitative exploration of the individual lived experience of illness. She works directly with patients and with health professionals, both in the UK and in Africa, towards the advocacy of patient autonomy, and the ‘humanisation’ of the medical relationship. Her work is in public and private collections in the UK, in Tanzania, and in the USA. In 2013 Jac founded The Broadway Drawing School in Cardiff.